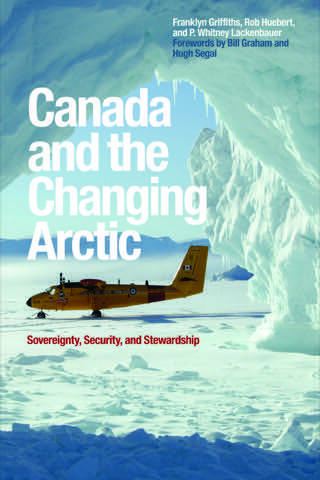 This book does a very good job of discussing Canadian perspectives on Arctic change. All authors are specialists on the Arctic, and their white papers critically examine issues of sovereignty, security, and environmental protection, among others. They also make recommendations on what leadership role Canada should play in the Arctic. The authors do have different emphases, and on some issues they disagree. This tension adds interest. Global warming has had a dramatic impact on the Arctic environment, including the ice melt that has opened previously ice-covered waterways. State and non-state actors who look to the region and its resources with varied agendas have started to pay attention. Do new geopolitical dynamics point to a competitive and inherently conflictual race for resources? Or will the Arctic become a region governed by mutual benefit, international law, and the achievement of a widening array of cooperative arrangements among interested states and Indigenous peoples? As an Arctic nation Canada is not immune to the consequences of these transformations. In Canada and the Changing Arctic: Sovereignty, Security, and Stewardship, the authors, all leading commentators on Arctic affairs, grapple with fundamental questions about how Canada should craft a responsible and effective Northern strategy. They outline diverse paths to achieving sovereignty, security, and stewardship in Canada’s Arctic and in the broader circumpolar world. The changing Arctic region presents Canadians with daunting challenges and tremendous opportunities. This book will inspire continued debate on what Canada must do to protect its interests, project its values, and play a leadership role in the twenty-first-century Arctic. Forewords by Senator Hugh Segal and former Minister of Foreign Affairs and of National Defence Bill Graham. Franklyn Griffiths, Rob Huebert, and P. Whitney Lackenbauer, Canada and the Changing Arctic: Sovereignty, Security, and Stewardship (Waterloo: Wilfrid Laurier University Press, 2011). Canada and the Changing Arctic provides a timely, relevant, and insightful contribution to the literature on northern politics and policies. Resisting simplistic classifications, the essays break down assumed distinctions between conservative and liberal political positions, with each author drawing from approaches of many political parties and stakeholders. For non-expert readers, it offers a clear and accessible introduction to Arctic issues, supplemented by a helpful acronym guide. Yet the depth of its coverage and nuanced analysis means that specialists, too, will find much of interest. Each chapter is clearly written and free of jargon, and the organizing strategy of addressing each issue in turn makes it easy to compare points of convergence … and divergence … between the authors’ positions…. With the Arctic increasing in importance in both Canadian and international politics, this book will have enduring relevance. Instructors and graduate students in Northern Studies, Political Science, and Policy Studies, as well as policy analysts and writers, will find this an essential read. What a wonderful ‘debate’ amongst three of Canada’s leading Arctic specialists. The authors present a thorough and engaging examination of the history and unfolding national and international political and strategic reality of importance to Canada in the Arctic. On display is the divide between the perspective that the Arctic states (and those states with interests in the Arctic) are operating within a recognizeable political and legal framework in an orderly manner and the perspective that the evident orderliness is only one of expedience masking that the Arctic may well become a region of significant political and strategic discord in the future.